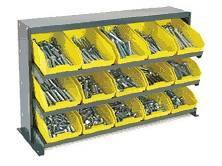 hardware, fasteners, or parts are kept within arms reach safely stored, and neatly organized. 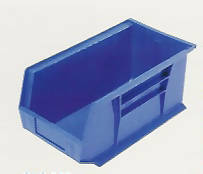 27" L x 8" W x 21" H. Bench rack unit accepts 7 sizes of Ultra Bins. Bins sold separately. Bench rack units can be joined (as pictured) to form continuous louvered panel systems.